Google+ is the local company’s shortcut to the coveted placements at the top of Google. With visible addresses, clickable phone numbers, and driving directions directly on Google, Google+ is the pinnacle of targeted advertising aimed at local companies and paying customers. Google+ works separately from your website. 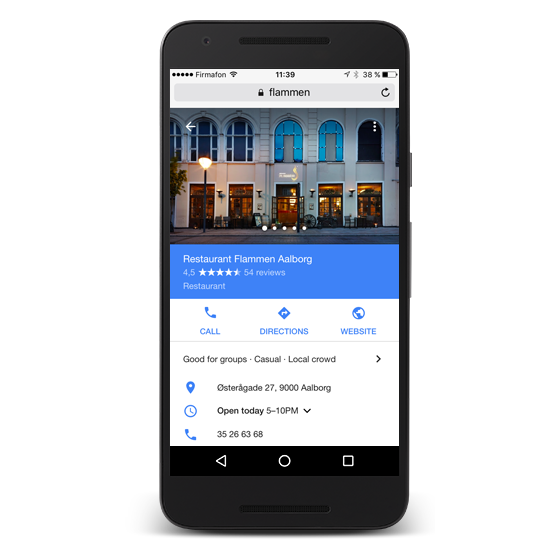 Your company profile is displayed in Google’s search results when potential customers from your local area perform searches relevant to your city and industry. If your website and your AdWords campaign have both been optimized with the same search words, you may be displayed up to three times on Google on the same page: through your AdWords ad, through your Google+ profile, and in the organic results. By taking up as much space on page 1 as possible, you maximize your visibility to your customers. Google+ is vital to both local businesses and nationwide franchises that want to turn local purchases into repeat business. Google+ is location-based marketing that targets potential customers in your local area. If you have not already taken ownership of your Google+ company profile, rest assured that competitors from your own city and industry are benefitting from your absence. Utilize the advantages of Google+ in collaboration with Green.Click’s certified specialists and capture larger market shares in your local area. Green.Click helped create visibility for our individual restaurants in their respective areas. We have subsequently experienced a considerable increase in visits to our various branches.